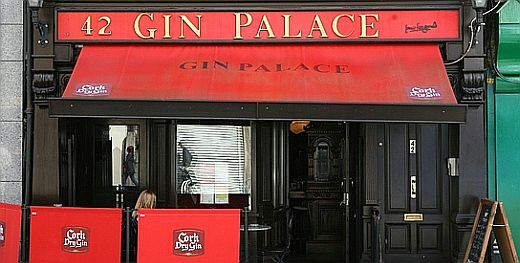 Come down to the Gin Palace Dublin pub & bar were the staff are happy to mix a cocktail of your choice and help you unwind after a hard day in the office or a though days shopping. Friday	12:00 p.m. - 12:30 a.m.
Saturday	12:00 p.m. - 12:30 a.m.
Sunday	12:00 - 11:30 p.m. 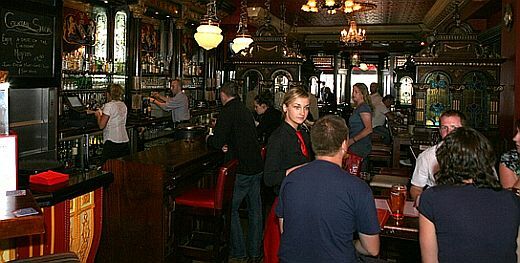 When you enter the Liffey St. side you are greeted with the cocktail bar with a beautiful brass back counter were the staff are happy to mix a cocktail of your choice for you. 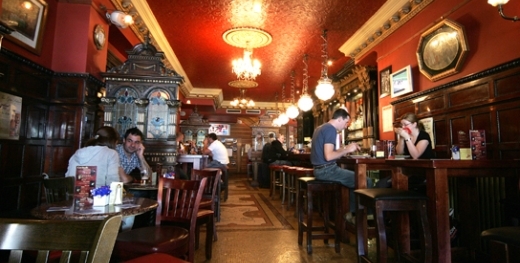 The bar is decorated in an old Victorian theme where you can relax after a hard day?s shopping or just a tough day at the office. We are the ideal meeting point for a pre and post concert, match or shopping trip or just unwind after a hard day at work. Choose from our selection of mouthwatering cocktails and party offers. Mediterranean food served 7 days. We house Dublins largest selection of Gins. Join our Gin Club today.